Just getting interested in the idea of saving money with Solar Panels? 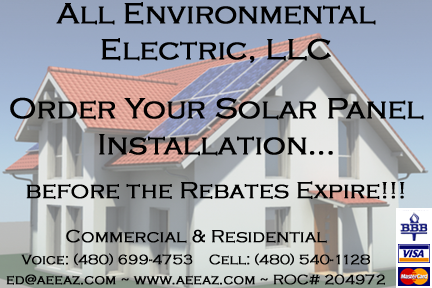 Read the Solar Basic 101 guide and then check us out online ar www.aeeaz.com! The three most common types of solar-electric systems are grid-intertied, grid-intertied with battery backup, and off-grid (stand-alone). Each has distinct applications and component needs. Also known as on-grid, grid-tied, or utilityinteractive (UI), grid-intertied solar-electric systems generate solar electricity and route it to the electric utility grid, offsetting a home’s or business’ electrical consumption and, in some instances, even turning the electric meter backwards. Living with a grid-connected solar-electric system is no different than living with grid power, except that some or all of the electricity you use comes from the sun. In many states, the utility credits a homeowner’s account for excess solar electricity produced. This amount can then be applied to other months when the system produces less or in months when electrical consumption is greater. This arrangement is called net metering or net billing. The specific terms of net metering laws and regulations vary from state to state and utility to utility. 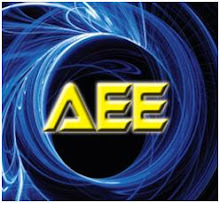 Consult your local electricity provider or state regulatory agency for their guidelines.